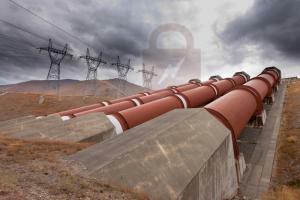 The Cyber Resilient Energy Delivery Consortium (CREDC), which consists of 11 universities and national laboratories, will focus on improving the resilience and security of the cyber networks that serve as the backbone of the infrastructure that delivers energy to the nation – known as energy delivery systems (EDS) – such as power grid and pipeline systems. Cyber networks provide the framework for many important functions within energy delivery systems, from sending data between a smart meter and utility to controlling the flow of oil or gas in a pipeline. However, they are also vulnerable to disturbances. According to the ICS-CERT “Monitor,” a publication of the Department of Homeland Security, a third of the 245 reported cyber incidents in industrial control systems that happened in 2014 occurred in the energy sector. CREDC will work to make these systems more secure and resilient. In the cyber world, “security” refers to the ability to keep data confidential and uncorrupted, while “resiliency” is the ability to withstand attacks, provide an acceptable level of service in the midst of an incident, and recover quickly following an attack. Trustworthy Cyber Infrastructure for the Power Grid (TCIPG) project, an $18.4 million initiative launched in 2009 by the DoE’s Office of Electricity Delivery and Energy Reliability with support from the DHS’s Science and Technology Directorate’s Cyber Security Division. Media Inquiries: Kim Gudeman, University of Illinois at Urbana-Champaign, kgudeman [at] illinois [dot] edu or (217) 333-9735.